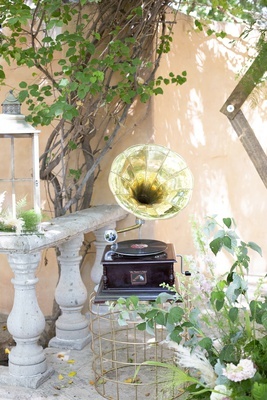 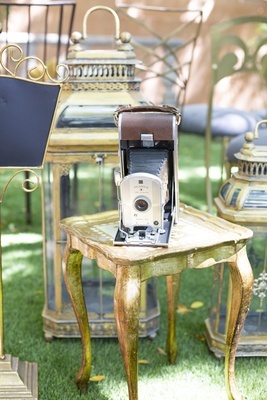 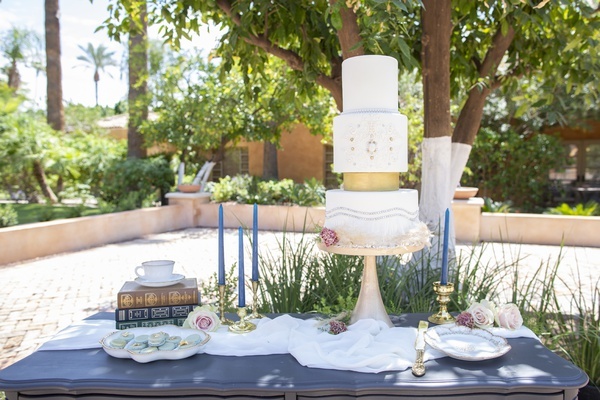 Antique pieces such as gold lanterns, a camera with black leather bellows, and a Victrola record player helped accent the beautiful outdoor garden with touches from the past. 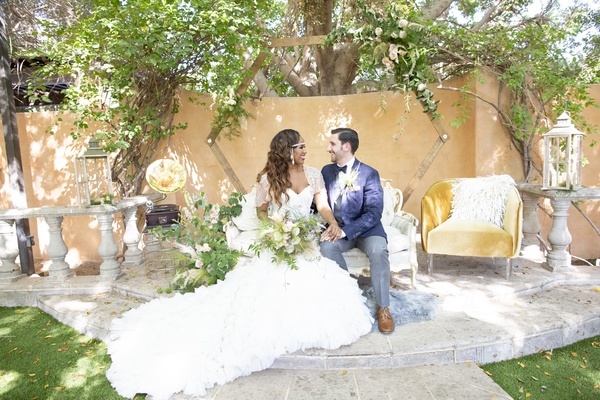 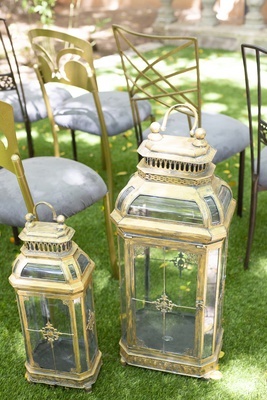 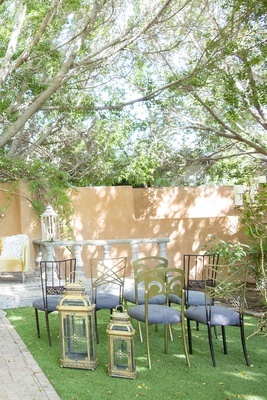 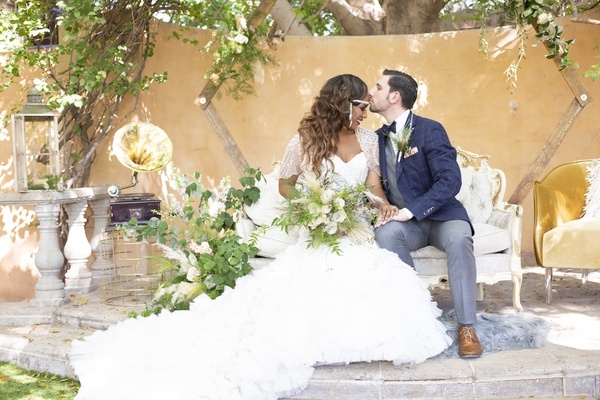 The mismatched chairs for the intimate ceremony evoke the idea of an intimate backyard vow exchange. 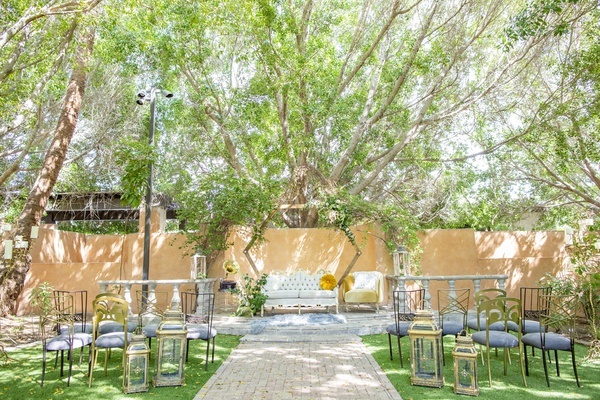 With a wooden geometric structure marking the altar, a hint of modernity was present. 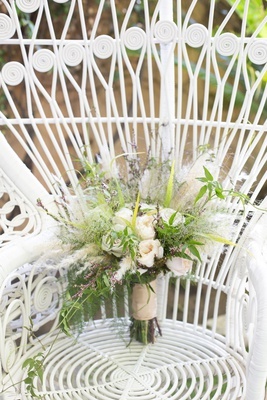 Small stems of pampas grass in the bouquet and boutonniere reflect an Old-World feel while also embracing one of the biggest trends in current-day nuptials. 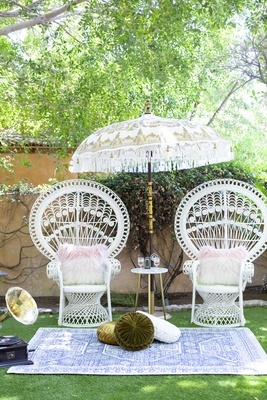 The high-back lounge chairs under a fringe umbrella shows that a love of 1920s aesthetic doesn’t have to be all about Art Deco architecture. 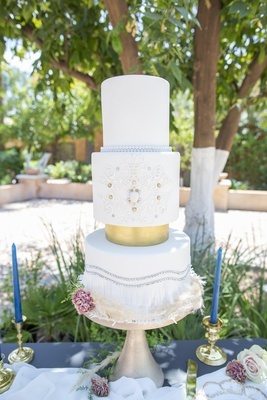 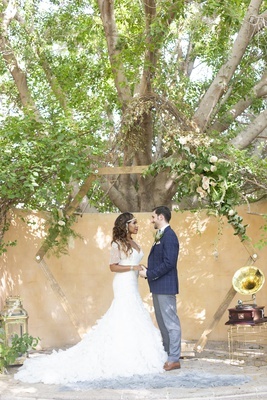 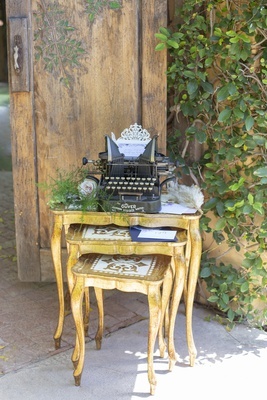 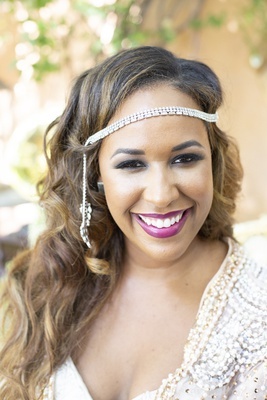 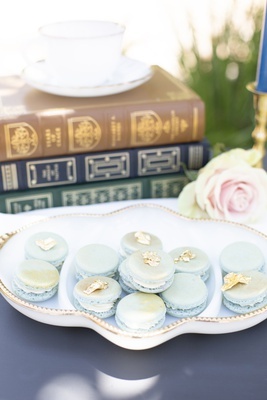 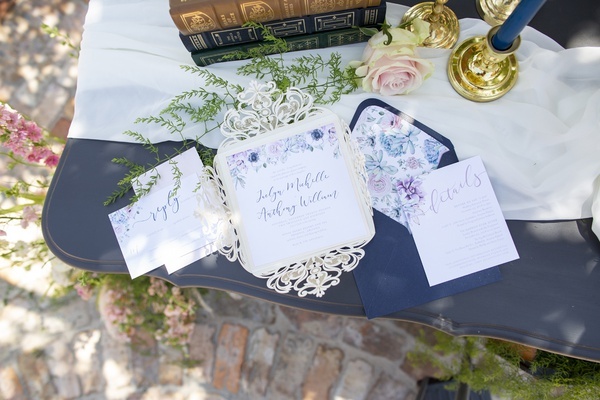 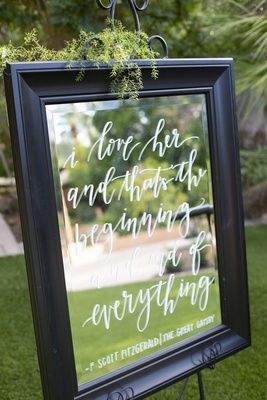 View inspiring photos from this wedding inspiration shoot in the slideshow above!